Take a look at this gem! This home offers two bedrooms and a third bonus room off of the main bedroom to use however you would like. Upon entering the home you'll find a nice sized living room that is open to the nicely sized kitchen that offers lots of cabinet and counter space. Need storage? The basement is a perfect space to store all of your belongings and lots of room for laundry. The furnace was installed in 2015 as well! 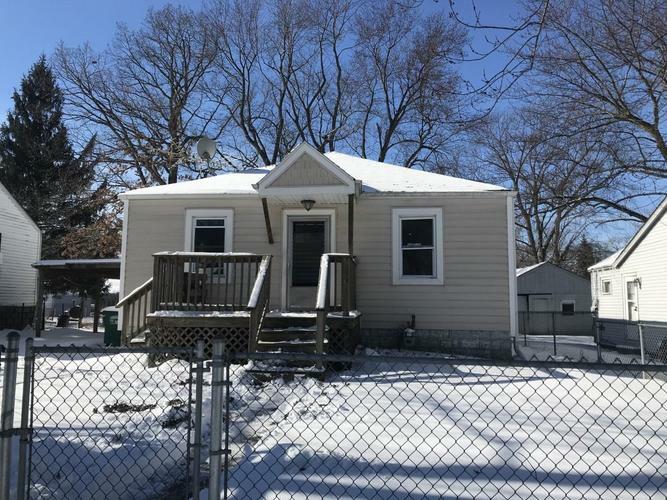 The yard is completely fenced and the detached garage makes this house even more appealing! Don't wait, schedule your showing today!